There are times when you have a system that has a single boot partition that houses all of the important Linux files, such as /boot and /home, on a single root (/) filesystem. This is particularly true with cloud-based images and virtual machine images, such as those in QCOW2 format. You can see that the root (/) filesystem and all of the user files are stored in a single 8GB partition on /dev/vda1. In many cases, this situation would be fine. But what happens when you want to increase the capacity of root (/), or want to have separate partitions for /boot and /home? 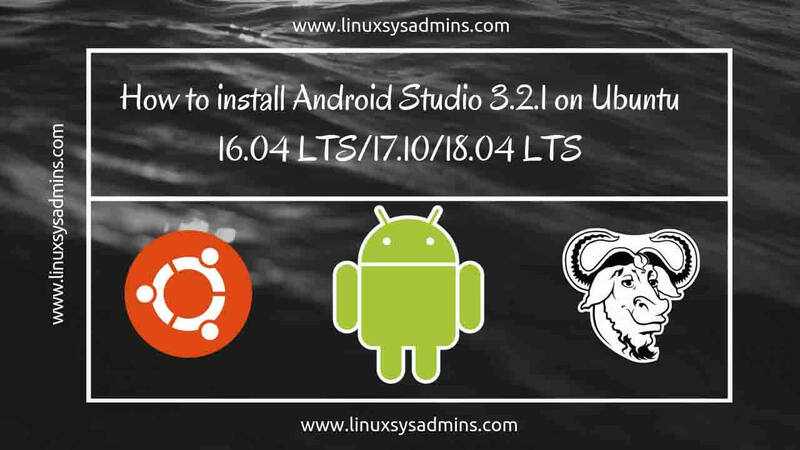 In this article, we will explore a method for converting from a single partition that contains all of the files for Linux and user files into a system that has a separate partition for /boot and an LVM2 volume group containing the Linux root (/) filesystem. The following is an example only. You can modify the LVM2 volumes and filesystems however you want, such as creating a separate volume for /var or /tmp. In our example, we will be migrating to a new disk. The current boot/root device is /dev/vda1 and we will be moving to a boot partition on /dev/vdb1 and a Volume Group on /dev/vdb2. Partition the device with a 1GB partition for partition 1 and the remaining space as partition 2. Partition 1 should have the “bootable” flag set, and partition 2 should be type 8e, or “Linux LVM”. For further information about partitioning disks with FDisk, please see this article. Building a new DOS disklabel with disk identifier 0xd921efb5. For further information about LVM2 and creating Volume Groups and Logical Volumes, please see this article. Physical volume "/dev/vdb2" successfully created. Create the Logical Volumes. We will be creating a 1 GB volume for swap and a volume for root (/) with the remaining space in the Volume Group. If you want to create additional volumes, this is the time to do it, but you will need to modify the subsequent steps accordingly. Format the filesystems. We will use EXT4 for /boot and XFS for root (/), but you may use other filesystem types as you see fit. For further information about creating and mounting filesystems, please see this article. In order to do the copy, we need to mount our new volumes into their target structure. Note that we do not need to activate swap at this time. We will also need to create a bind mount for the existing root (/) filesystem. This allows us to copy data without copying files we don’t need, like the tmpfs filesystems and /dev. We will use rsync to copy the data, but other tools should work just as well, so long as they preserve ownership and permissions. This step could take some time depending on how much data there is to copy. There are several configuration files that need to be updated in order for the system to boot properly. It is very important that these files are modified carefully, or else the system may become unbootable! Let’s start with the new fstab. Modify the file /newroot/etc/fstab and make modifications for the new devices that we created. Now we need to update the Grub defaults file in /newroot/etc/default/grub. Notice there are multiple differences in the two versions. The most important for booting is the addition of “rd.lvm.lv=rootvg/root”. However, we also moved the text “console=tty0” from the beginning of the line to after the text “console=ttyS0,115200”. This is very important for SELinux auto labelling that we will do later. Failure to do this correctly will lead to a system that will boot, but login will fail (/bin/bash will fail to execute). Next, we need to create a new grub.cfg file, a new initramfs, and install grub to the MBR of the new disk. To do these things, we need to create a chroot jail on our new root volume. The commands we will run require access to /dev, /sys, and /proc, but those don’t exist in a chroot jail, so we have to bind mount them under the mountpoint of the new root volume (/newroot). Now we go into the chroot jail. You can tell we are there because df will show us our new volumes. Note: it is normal that /proc and /sys do not appear in the df output. Create a new grub.cfg file. The errors about lvmetad can be ignored. Create a new initramfs file that contains the modules for LVM. It’s important that you use the correct kernel version for this. In this example, there is only one version installed, so it’s easy. Now we need to install Grub to the boot sector of /dev/vdb. We need the –recheck option so that grub will write a correct device map. Finally, we need to ensure that SELinux relabels the copied files when the system boots. There are many ways to do this, but the easiest is just to create the file /.autorelabel. If your system is not using SELinux, this step can be skipped. If you’re not sure, just do it; it won’t hurt anything. Exit the chroot jail. And shutdown (not reboot!) the server. Step 7: Modify the boot parameters of the VM or physical server. If the server is a virtual machine, then remove the original boot disk. It is probably best to simply detach it instead of deleting it, just in case there are problems and you need to boot off of it again later. If the server is physical, then you will need to change the boot order in the BIOS to boot off of the new disk first. (In the demonstration environment, the virtual machine runs on oVirt. oVirt remembers the order of disks when they are added to the system, so removing the original boot disk puts the DVD-ROM drive first in the boot order. When the system POSTs and finds no DVD in the drive, it fails to boot. To fix this, the new disk needs to have the “bootable” option set on the virtual disk, which moves the new disk to the first in the boot order). If you’ve done things properly, you should be presented with the Grub boot menu. If you wish, you can edit the boot menu option to validate the line starting with “linux16”, which is the kernel command line. It should look like the one below with your root Volume Group and Volume at the end of the line, and your /boot UUID in the “search” line. Once you are satisfied that the boot menu option is correct, boot the system. When the SELinux relabeling process has completed, the system will reboot again automatically. When you login after the final reboot, you will see that the system has been migrated to LVM with a separate /boot partition and swap already activated. Performing maintenance on a root (/) filesystem is always a hassle, and so having a system running from LVM2 can add a great deal of flexibility for disk maintenance, such as increasing a filling filesystem. As we have shown above, migrating from a single partition to LVM2 is not so difficult and does not require a long outage if it’s done right. Pre-installed virtual machine images are very beneficial for starting up a system quickly, but they are not always built for use over a long period of time. This procedure will help to prevent you from being stuck with a system that does not meet your needs and will allow you to expand your storage as your demand grows. I have been in IT for over 20 years, working in Linux Administration, Storage Administration, and public, private, and hybrid cloud technologies.